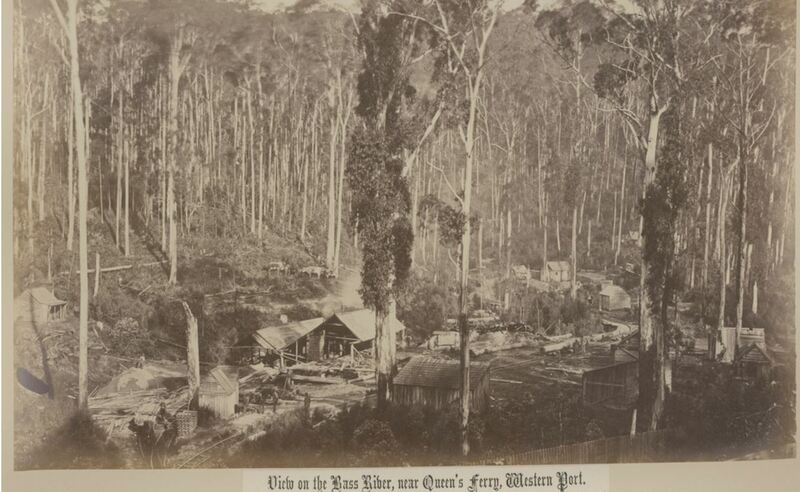 SAWMILL NEAR QUEENSFERY, VICTORIA c1880. Photographer: Fred Kruger. Image courtesy of the State Library of Victoria. Ten pioneers join the Pioneer Obituary Index this month and an interesting group they are. Previously I have mentioned how bringing the monthly pioneers together revels things they have in common. This month it’s the name Alan/Allan. There are three pioneers bearing the moniker this month, two of whom were given it as a second name but preferred it over their first. A reminder that all underlined words are links to further information about the subject. 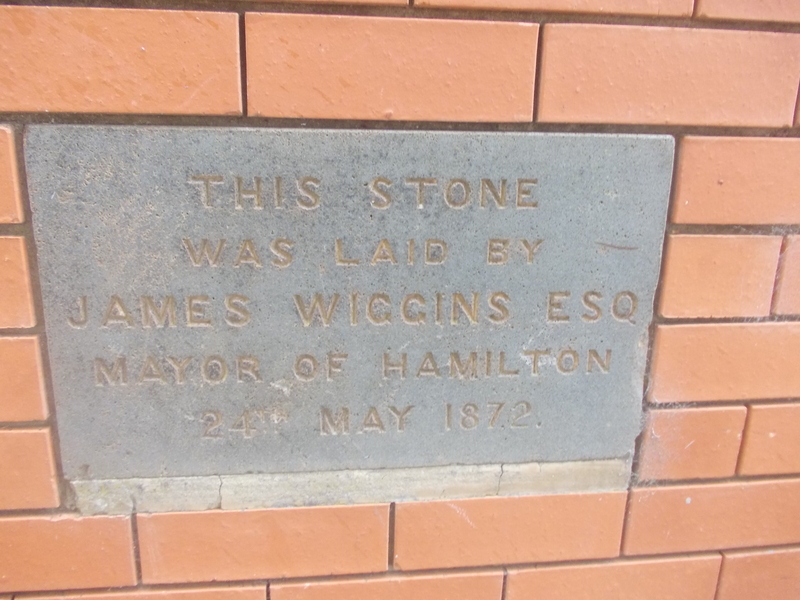 James WIGGINS – Died 21 October 1896 at Hamilton. James Wiggins was born in Launceston, Tasmania on 23 February 1833 and arrived at Portland with his parents in 1840. 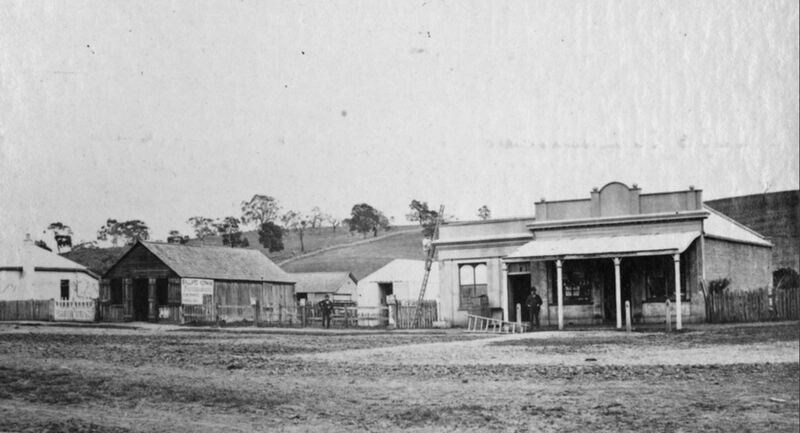 In the early 1850s, James headed to the goldfields around Eaglehawk before giving up and going to Drysdale near Geelong where he and his brother John purchased the Buck’s Head Hotel for £6000. It was there James met recently widowed Jane Blastock (nee Fountain) from Hamilton, ten years older than himself. At the time, James was a cross-country rider but Jane did not approve, so on the day before they married in 1859, James rode in and won his last steeplechase. The couple soon moved to Hamilton, taking up residence at Sandal on Digby Road overlooking the Grange Burn. James turned to farming with root crops his main priority. He was also elected to the Dundas Shire and was president for a time. James was on the first Hamilton Borough Council formed in 1863. 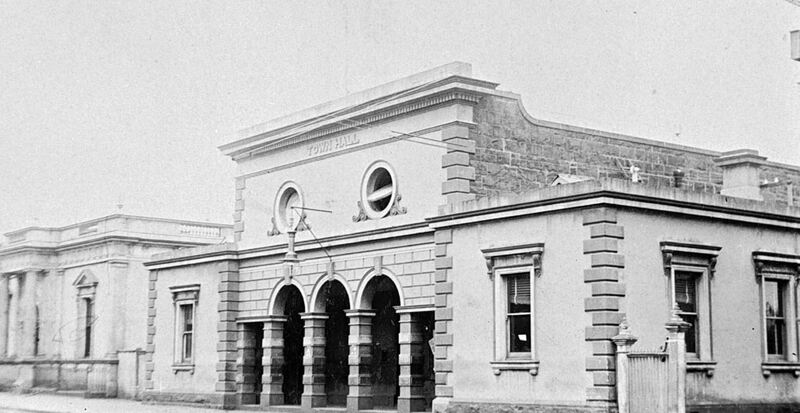 As Mayor on 24 May 1872, James laid the foundation stone (below) for the first Hamilton Town Hall in Gray Street. FOUNDATION STONE OF HAMILTON’S FIRST TOWN HALL. IT IS NOW LOCATED ON THE SIDE WALL OF THE HAMILTON PERFORMING ARTS CENTRE. As a young man, James excelled at competitive sport. He was a “one of the best and boldest footballers” and could “wield the willow as well as most up-country players”. He also participated in competitive walking and the aforementioned cross-country riding. After his vow not to ride, James instead owned and bred horses and sat on the Hamilton Racing Club committee. He also had an interest in greyhound racing. James was for a time president of the Hamilton Cricket Club and the Hamilton Bowling Club and was a bowls champion. He was a member of the Hamilton Pastoral and Agriculture Society and won many prizes for his roses at flower shows. James received the Commission of the Peace and when he died was, along with David Laidlaw, the most senior Justice of the Peace in the town and was a respected for his attention to detail as a Magistrate. James’ wife Jane lived on for a further five years after his death. They had no children. Caroline Agnes HENTY – Died 1 October 1914 at Merino. Caroline Henty was born in 1849 at Portland, a daughter of Francis Henty and Mary Ann Lawrence. 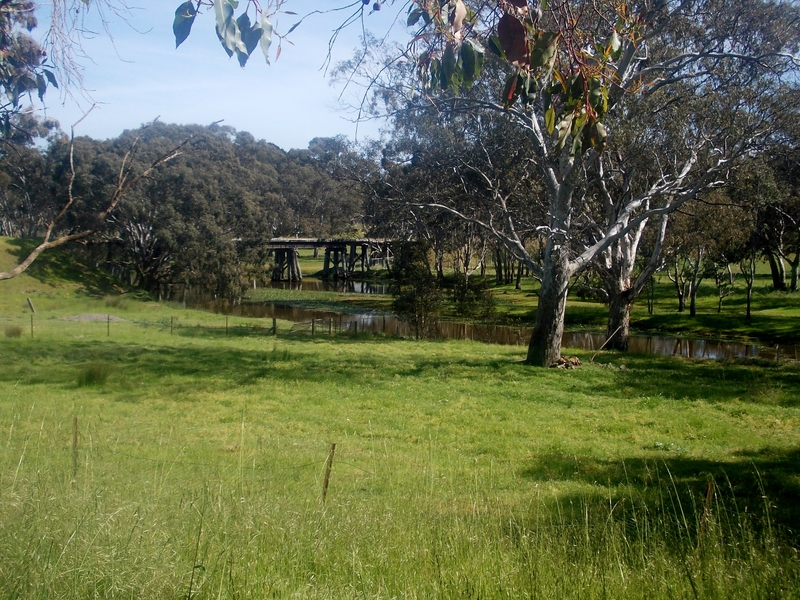 She grew up at Merino Downs, the large pastoral run of her father. 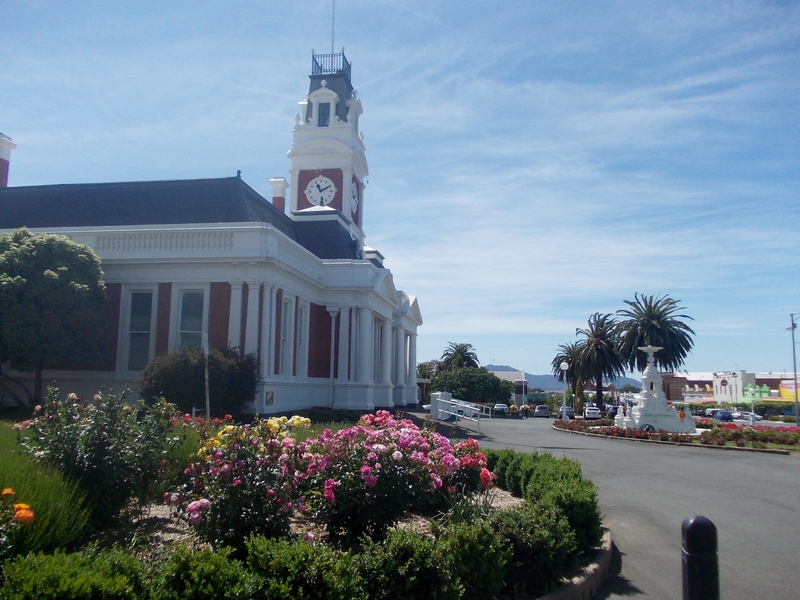 In 1889, Francis Henty died and left Caroline his property in Portland including Claremont (below). Also, Merino Downs was split three ways and shared between Francis’ daughters Louise, Alice and Caroline. The following year when Caroline was around forty, she married Alexander Magnus MacLeod at Holy Trinity Church, Kew. The marriage set tongues wagging and the difference in age questioned along with Alexanders’s worthiness to marry a woman of high status. Alexander was in fact only two years older than Caroline and was himself from good standing. 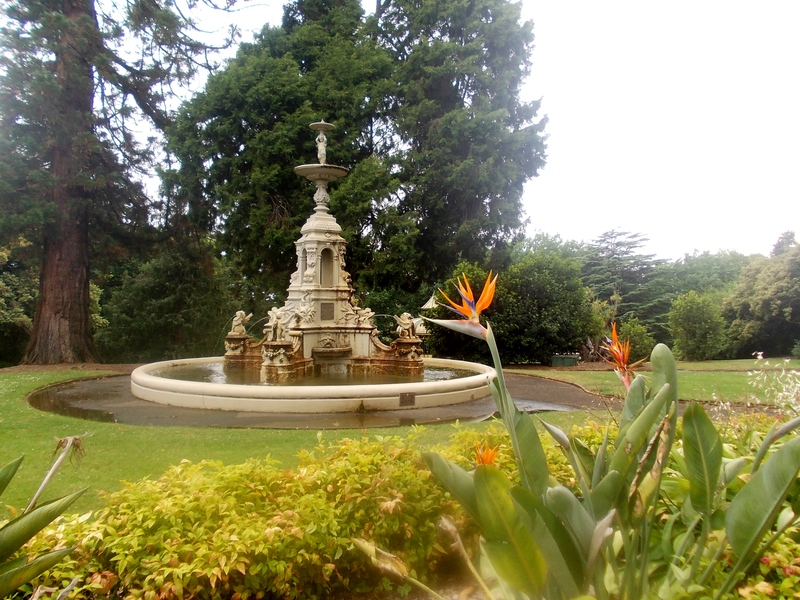 His father John McLeod was a member of Victoria’s Legislative Assembly and owned several large properties including Castlemaddie at Tyrendarra. 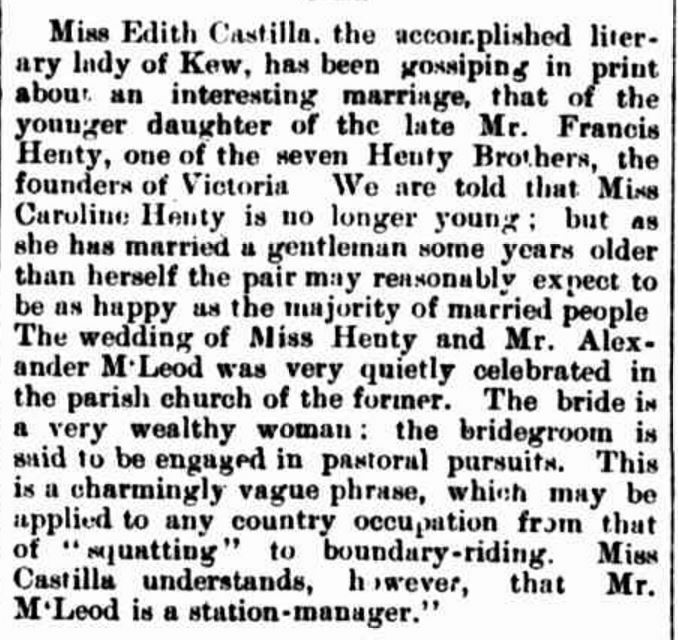 “Personal.” The Cumberland Argus and Fruitgrowers Advocate (Parramatta, NSW : 1888 – 1950) 30 August 1890: 3. <http://nla.gov.au/nla.news-article86271136&gt;. Caroline and Alexander’s first daughter Caroline Agnes MacLeod was born at Hawthorn in 1892 and in 1894, Alexandra Frances MacLeod at Albert Park. 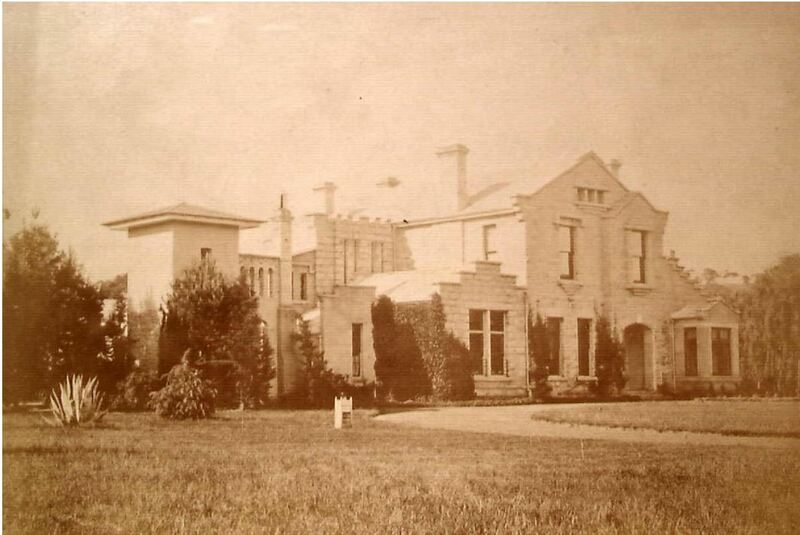 In 1901, Caroline and Alexander built Talisker on Caroline’s share of Merino Downs and they took up residence there. In 1910, Alexander and Caroline were staying at Melbourne’s Menzies Hotel when Alexander died on 19 July aged sixty-four. Caroline returned to Talisker and died there four years later and buried at the Merino Cemetery. 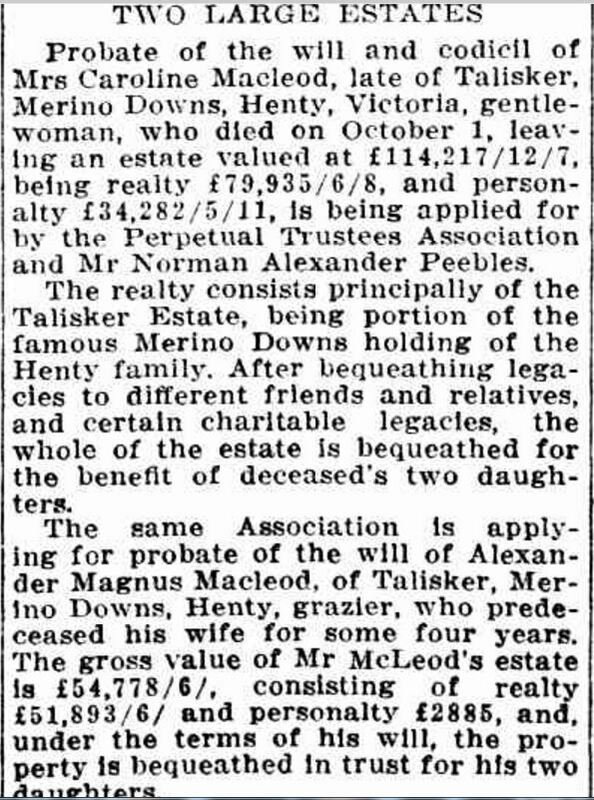 Applications for Probate for Caroline and Alexander’s estates were lodged in December 1914, and the joint worth of the couple was a tidy sum for the times. “Wills and Estates” Weekly Times (Melbourne, Vic. : 1869 – 1954) 12 December 1914: <http://nla.gov.au/nla.news-article132723107&gt;. Alan McCALLUM – Died October 1914 at Dandenong. Alan McCallum arrived at Cavendish in the early 1860s and worked on stations around the area as overseer and station manager. He then purchased the Cavendish Hotel and general store and spent time on the Dundas Shire Council. Alan then sold up and went to Heywood, operating the Commercial Hotel for several years. He then went to Hamilton taking up the lease on the Prince of Wales Hotel in Thompson Street. He was soon on the move again, operating a store in Cobden for two years before returning to Hamilton where he remained until 1913. He then moved to Dandenong to live with his sister and remained there until his death the following year. Emala ILIFFE – Died 29 October 1915 at Koroit. Emala Iliffe was born in Warwickshire around 1826. She came to Australia with her husband Ephraim Brittain in 1855 arriving at Port Fairy aboard the Samarang with a three-year old son Charles and baby Jane. 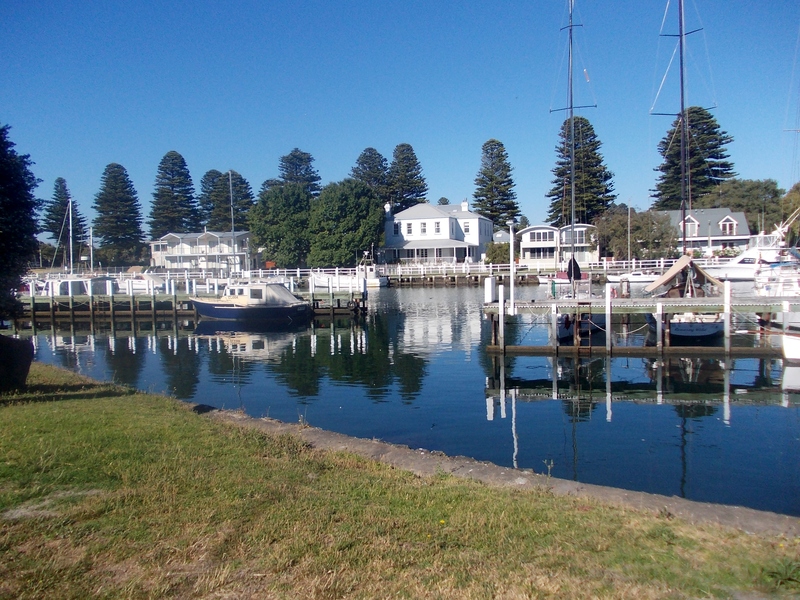 They spent two years at Port Fairy before moving to Koroit where they remained for the rest of their lives. They went on to have a total of seven sons and six daughters. 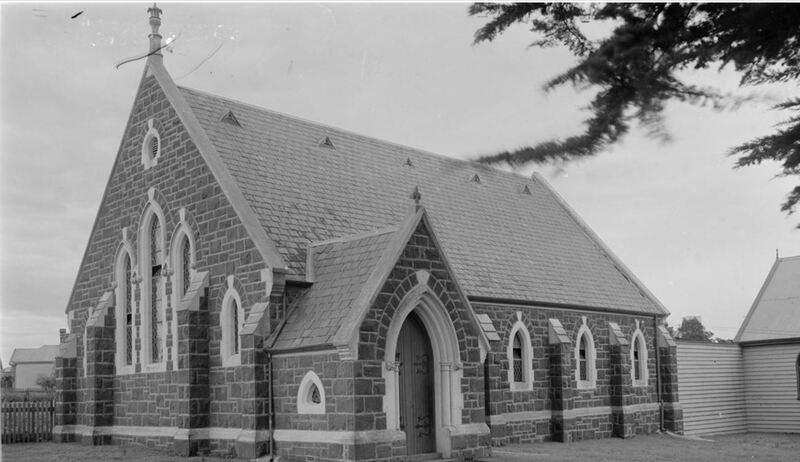 Emala attended the Koroit Methodist Church (below). Ephraim died in 1904. At the time of Emala’s death, she had sixty-eight grandchildren, and fourteen great-grandchildren. Six of her grandsons enlisted for WW1. Michael MUGAVIN – Died October 1916 at Crossley. Michael Mugavin was born in Ireland around 1832 and arrived in Australia sometime between the mid 1850s to 1860s. Michael and his wife Mary Lineen settled in the Crossley area. Michael had early success as a farmer, becoming quite prosperous. 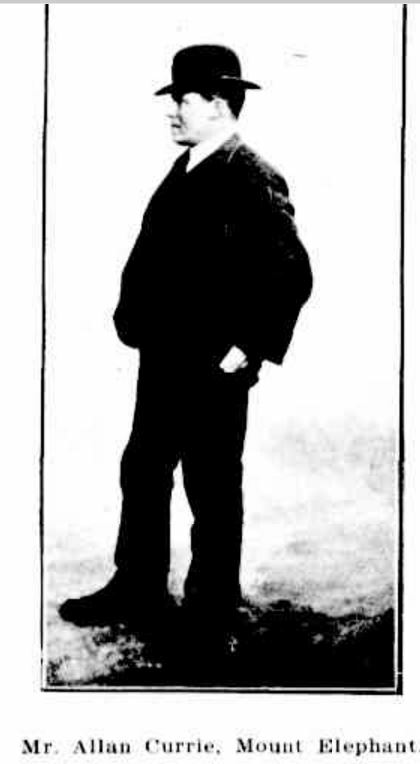 He was described as having a “…quiet and inoffensive disposition, honest and thrifty”. He had a son and four daughters, one of whom was a Catholic nun with the Convent of Mercy at Warrnambool. Requiem mass was held for Michael at the St Brigid’s Catholic Church at Crossley and he was buried in the Tower Hill Cemetery. Sarah Ann HICKS – Died 16 October 1918 at Mortlake. Sarah Hicks was born near Bristol, England in 1844 and arrived at Melbourne in 1863 aboard the Princess Royal with her cousin Mr Fielding. They then travelled to Logan Station at Mount Elephant near Derrinallum. In 1864, Sarah married William Whitson and they selected land at Mortlake. They had a large family of twelve. Despite failing health, Sarah contributed greatly to the Red Cross during WW1. Catherine MEAGHER – Died 24 October 1918 at Hamilton. Catherine Meagher was born in County Tipperary in 1841 and travelled to Australia when she was fifteen with her parents aboard the Clara, arriving at Portland. 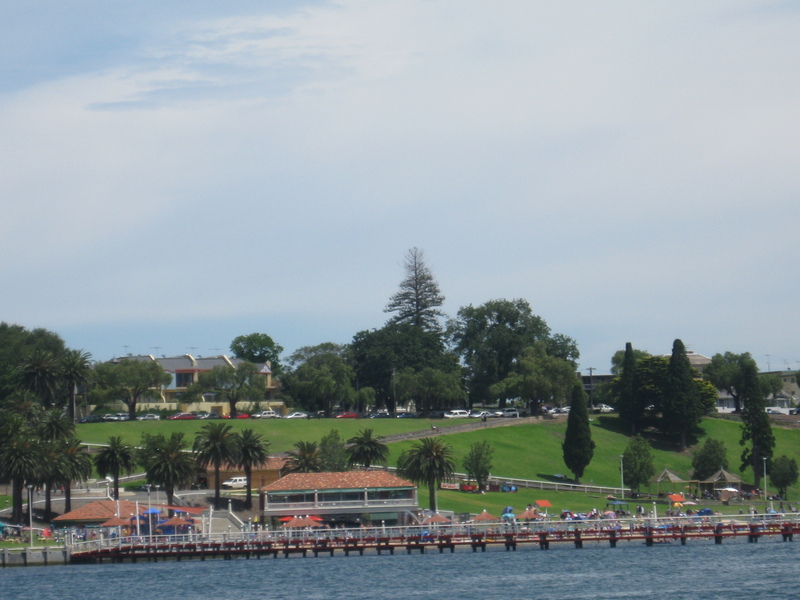 After a short time, she went to South Australia to live remaining there around five years. She then moved to Hamilton where she married Henry Anslow in 1866. They settled on Mill Road and lived there until their deaths. Henry died in 1908. Catherine’s funeral left Hamilton’s St Mary’s Catholic church for the Hamilton Cemetery. James Allan LEARMONTH – Died 29 October 1928 at Hamilton. 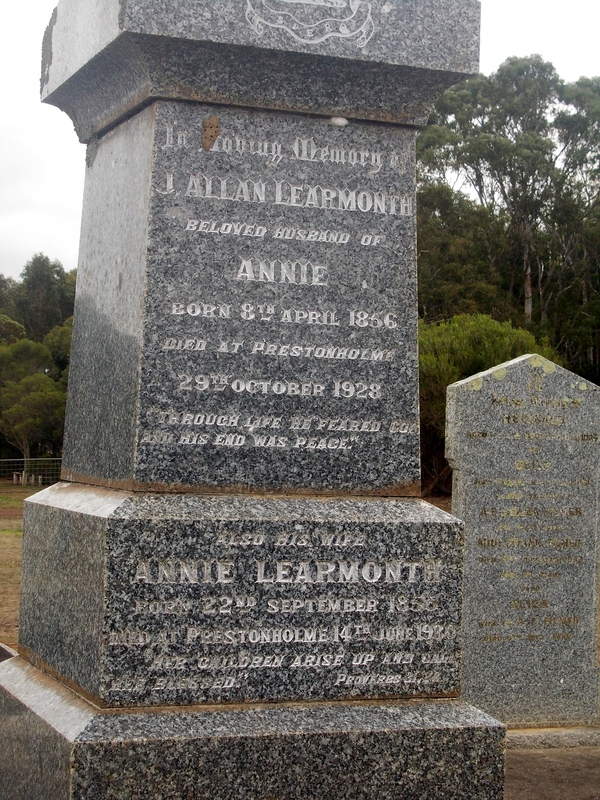 James Learmonth better known as Allan, was born at Merino Downs in 1856, a son of Peter Learmonth and Mary Pearson. By 1859, the Learmonths had taken up residence at Prestonholme, beside the Grange Burn on the eastern side of Hamilton. Allan attended Wesley College and gained his matriculation. He then went to work for Andrew Rowan, a Melbourne merchant. 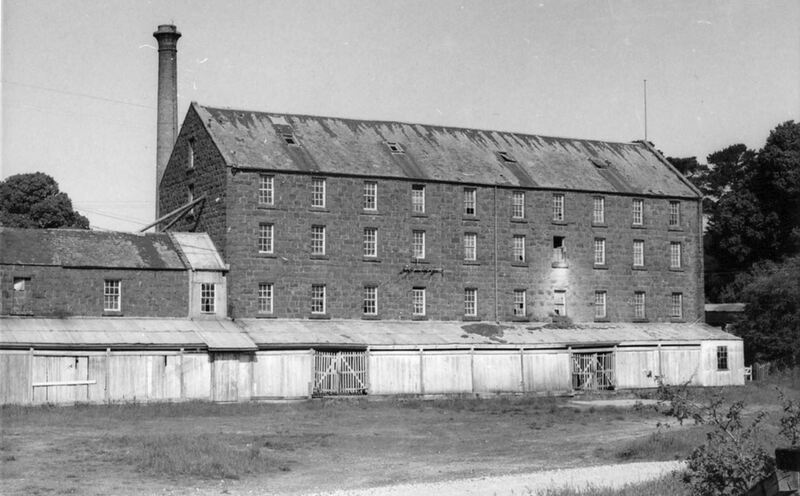 By 1879, Allan was back in the Hamilton district, running his father’s flour mill at Penshurst but his life almost ended soon after. In April of that year, Allan was in the mill’s engine room, leaning on the bed of the boiler and about to start the engine when the boiler exploded, sending it twenty yards away from its base. Allan was found lying under bluestone, lucky to be alive. The full account of the explosion is on the following link to The Argus – Penshurst Mill Explosion. 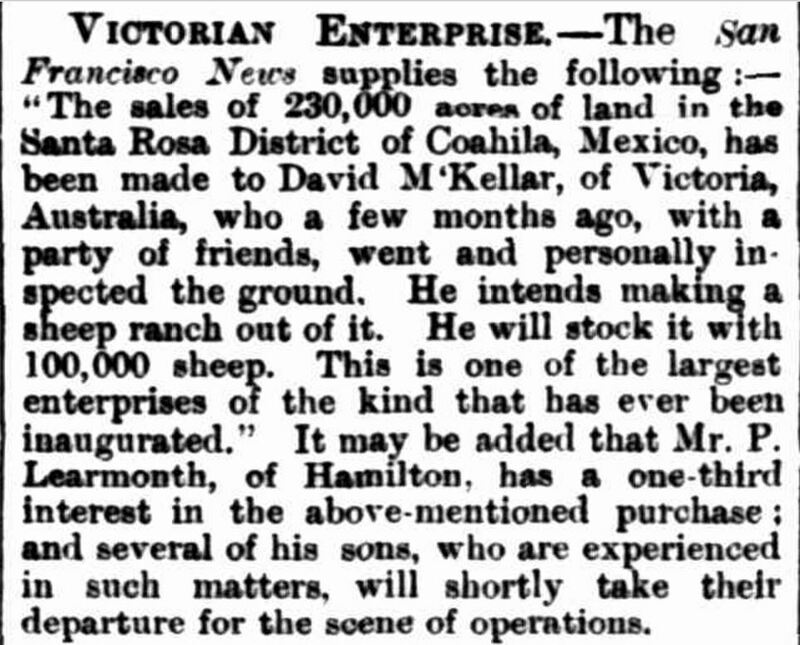 In 1881, it was decided Allan and Stanley would travel to Mexico to run their father’s 82,000 acre share of Nacimiento Ranch purchased by David McKellar of Strathkellar. The Learmonths share was called La Mariposa. “Items of News.” Hamilton Spectator (Vic. : 1870 – 1918) 6 December 1881: <http://nla.gov.au/nla.news-article226060700&gt;. Allan left for Mexico with a heavy heart as he was leaving behind his sweetheart Annie Thomson, a daughter of James Thomson of Monivae, south of Hamilton. On 2 August 1882, Allan wrote a letter home of his first impressions of the “mystic land”, published in the Hamilton Spectator of 28 September 1882 under the headline – News From Mexico. Allan’s letters were regularly published in the Spectator during his time there. Although several years had passed, Allan and Annie’s love remained strong and in 1886, Allan returned from Mexico to marry her. 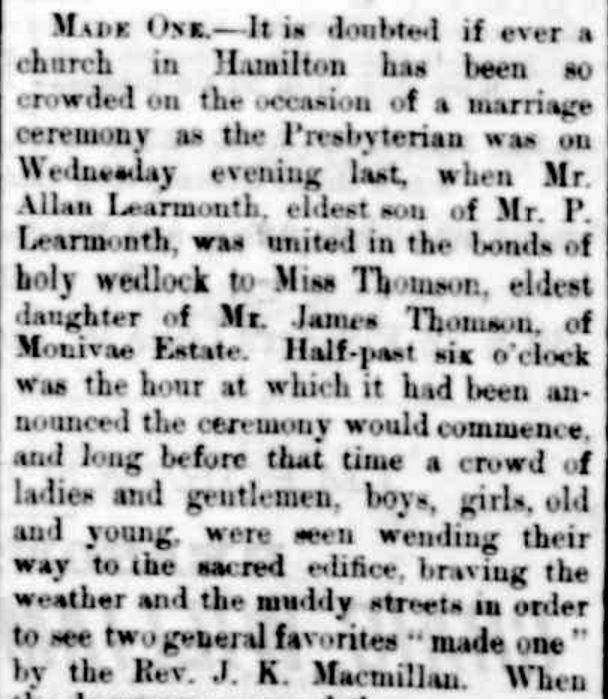 The wedding was a large social occasion and sparked much interest within the Hamilton community. Allan returned to Mexico with Annie and they remained there until 1892, arriving back in Australia with four children, all born in Mexico. Allan then took up the running of Corea near Dunkeld. The following year, his father Peter Learmonth died and Allan took over Prestonholme. 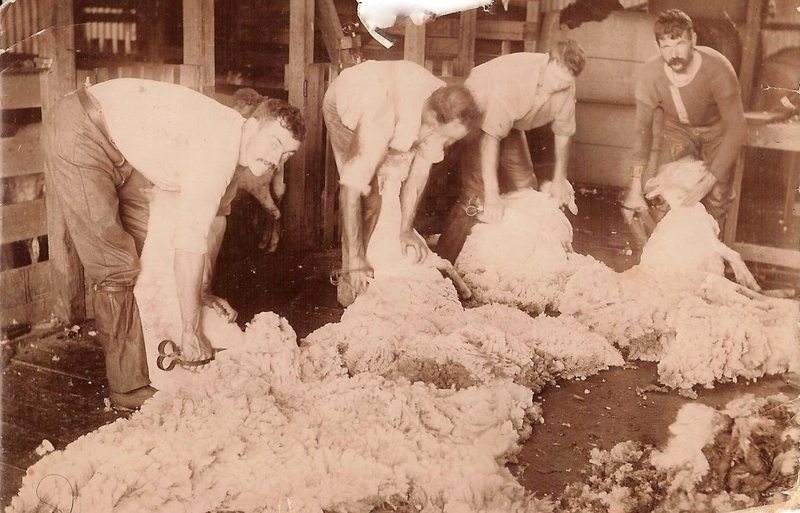 There he built up one of the best flocks of Lincoln sheep in the state. An all round sportsmen, Allan participated in cricket, golf and bowls. At the time of his death, Allan left three sons and three daughters. Annie died two years later and was buried with Allan at the Hamilton Old Cemetery. Highly recommended further reading on the Learmonths is the book Mariposa: A Story of the Learmonths of Western Victoria and Mexico, 1834-1930 by Anita Macdonald available from the Hamilton History Centre. 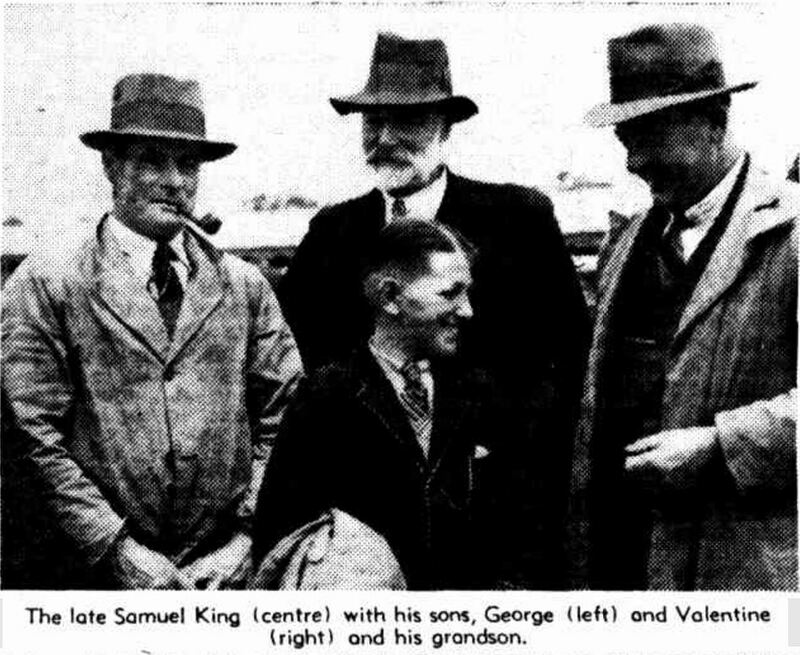 Samuel KING – Died 29 October 1940 at Cobden. Samuel King was born around 1870 and went to the Cobden district around the age of twenty. Taking up a life on the land, he soon became a renown breeder of Southdown sheep and Hereford cattle. That led to show judging with Samuel well known in all states of Australia for his good eye for livestock. He was among the oldest members of the Hereford Cattle Breeder’s Association and the Society of Breeders of British Sheep. Samuel was also a Councillor on the Heytesbury Shire for three years in the 1920s. Samuel left a family of five sons and two daughters. He is pictured below with two of his sons and a grandson. Henry Alan CURRIE – Died 10 October 1942 at Burrumbeet. Henry Currie was born around 1868 at Geelong, a son of John Lang Currie of Larra, Camperdown. Better known as Alan, he attended Melbourne Grammar School and then Melbourne University studying engineering. 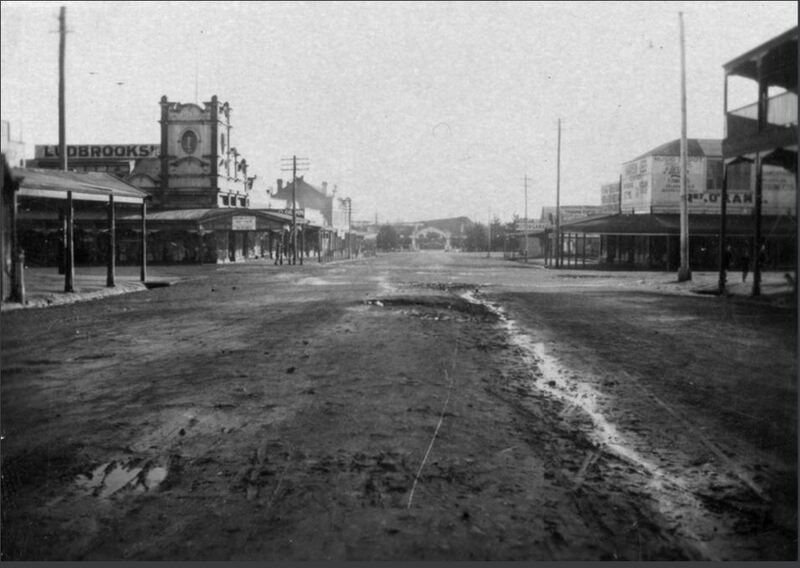 He then joined the Victorian Board of Works as a surveyor with the Western Australian Public Works Department working on providing water to Kalgoorlie. 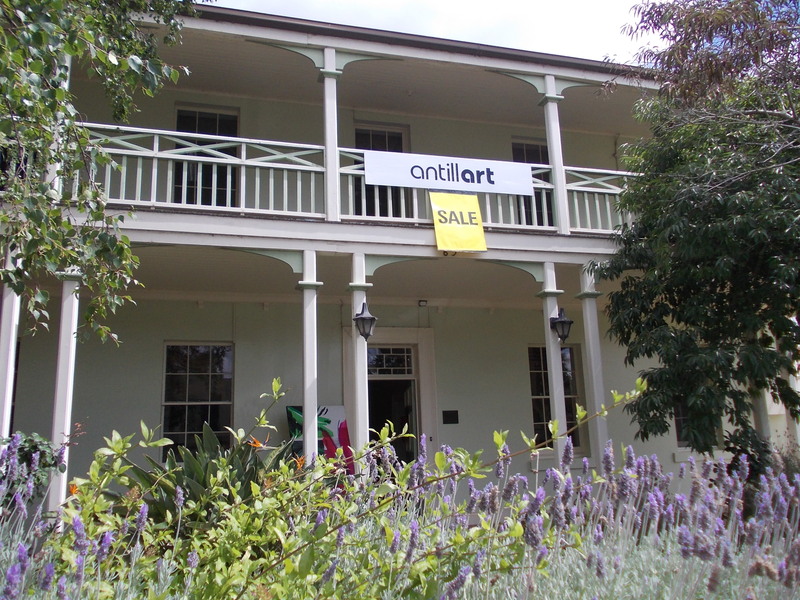 After returning from Western Australia, Alan managed Mt Elephant Station near Derrinallum for his father until John Currie’s death in 1896 when Alan inherited the property. During WW1, Alan served with the Royal Field Artillery, suffered wounds several times and was awarded a Military Medal. After his return from war in 1920, Alan sold Mt Elephant and purchased Ercildoune Estate at Burrumbeet. He also developed a group settlement scheme for returned serviceman.